If you've lost the sense of how powerfully present God is in the ordinary, then this book was written just for you. Read this and move beyond life-as-usual to life with an extraordinary God. You'll learn that there really is no such thing as ordinary. For every office employee who questions, “Does what I'm doing even matter?” For every student who wonders, “Will I ever make a difference in this world?” For every parent who asks, “Does anyone even care about this?” For all of you who look at your lives and think, “Is this all that there is?” This is your book. Read it; spend time with it; share it; read it again. God is "in" a lot more than we realize, sovereignly "building the city" through the most mundane of tasks (Ps. 127:1-3). Can passion and purpose be found in that which seems mind-numbingly mundane? In a word: yes. 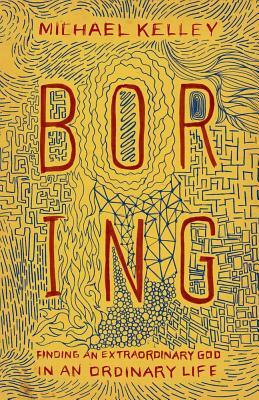 And when you read Boring, you'll see how our extraordinary God makes that possible!